Box Dimensions (LxWxH) 7.5 x 5.827 x 0.394"
HDA-106 High-Speed HDMI Cable with Ethernet (Black, 6') is rated 4.8 out of 5 by 233. Rated 5 out of 5 by Tucson Knitter from Connects both PC & Mac I just bought a new monitor from B&H and it seems to have a myriad of ways to connect monitor to a computer. B&H staff goes above and beyond in their knowledge and advice. This was the one connection that was not in the package but it was they one that was advised. Give credit where credit is due, but B&H staff explained to me, in layman's English, why I wouldn't want to use my other options. We then discussed 3' versus 6' cord length and they suggested 6'. I would have preferred 3' but now realize that 6' will allow me to push the laptop over to the edge of my desk and the shorter cord would not. Also, the shorter cord would not reach a CPU under my desk. There's nothing negative about this cord. Rated 4 out of 5 by doesAnyoneReadReviewsOfCables? from This cable is awesome! I plugged this cable into my monitor and attached the other end to a raspberry pi for some retro gaming action, and I'm pretty sure the cable started spitting out $100 bills. Or there was a $100 bill just sitting on my desk the whole time, I can't tell. Either way, the cable works great! The only reason I didn't give this cable 5 stars is because it's not quite 6' as advertised. It's more like 5'11.9. I even tried stretching it out when I measured it. If I pull it as tight as I can make it go without fear of tearing it apart, it's not quite 6'. Not important to me, but might bother someone else. Rated 2 out of 5 by Chris from Distorted signal from Blackmagic Design Mini Monitor to TV This cable had signal distortion problems (random noise/discolored pixels) when used as described above. Replacing with another brand solved the problem. Rated 5 out of 5 by AMY F. from Does What It's Designed To Do It's a cable, nothing else needs to be said. Rated 5 out of 5 by Heitor from Cheap and good Works! Rated 5 out of 5 by Bryan from Great HDMI Cables You don’t need to spend a lot of money to upgrade your HDMI cables to display UHD 4K. I ordered these to upgrade with a new 4K tv. Works great, no issues handling UHD 4K Dolby Vision output. Highly recommended. Rated 5 out of 5 by Junior from Easy to set up. Just plug and play. 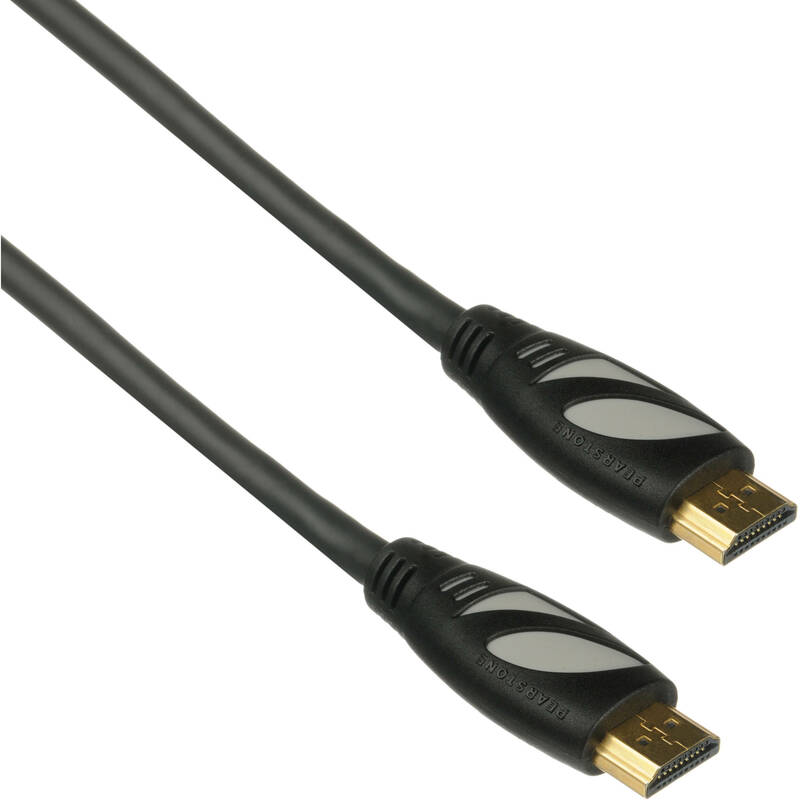 Basic hdmi cables. Does the job with my television and at a great price. No nonsense product. This says it is capable of 4k but does it support 4k @60 fps and 4:4:4 chroma? Basically, is it an 18Gbps cable or just 10.2Gbps? According to the HDMI organization, 1.4 and above HDMI cables, (wire only) will support bandwidths up to 18Gbps. The HDMI 2.0 specification defined a new, more efficient signaling method, for speeds above 1.4b limits (10.2Gbps), to allow higher bandwidths (up to 18Gbps) over existing High Speed HDMI Wire Cables.These cables will support all current technology.